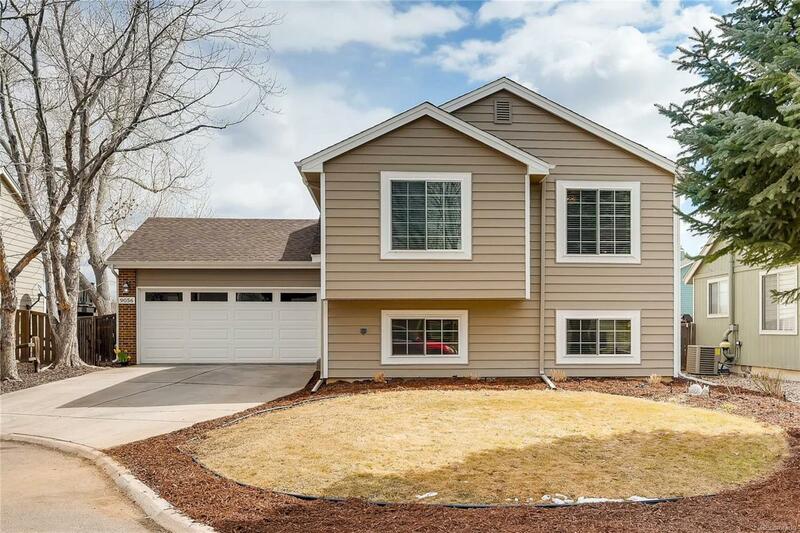 Beautifully UPDATED boasting an OPEN Floor Plan, REMODELED KITCHEN & BATHS, backing to OPEN SPACE on a CUL DE SAC! 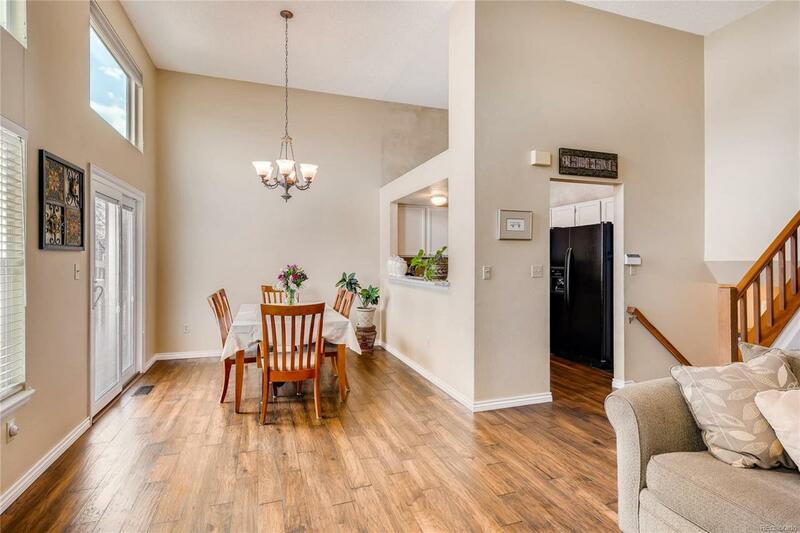 You are greeted w/ soaring ceilings, gleaming NEW HAND SCRAPED ENGINEERED HARDWOOD FLOORS (2015) leading to the family room graced w/ a cozy wood burning fireplace & NEWLY UPDATED KITCHEN (2019) appointed w/ NEW GRANITE COUNTER*NEW BLACK SS APPLIANCES (2017-19). The NEW SLIDING GLASS DOOR (2015) opens to a backyard accented w/ a NEW CONCRETE PATIO (2016) perfect for entertaining & BACKING TO OPEN SPACE. Privacy and beauty in the backyard. 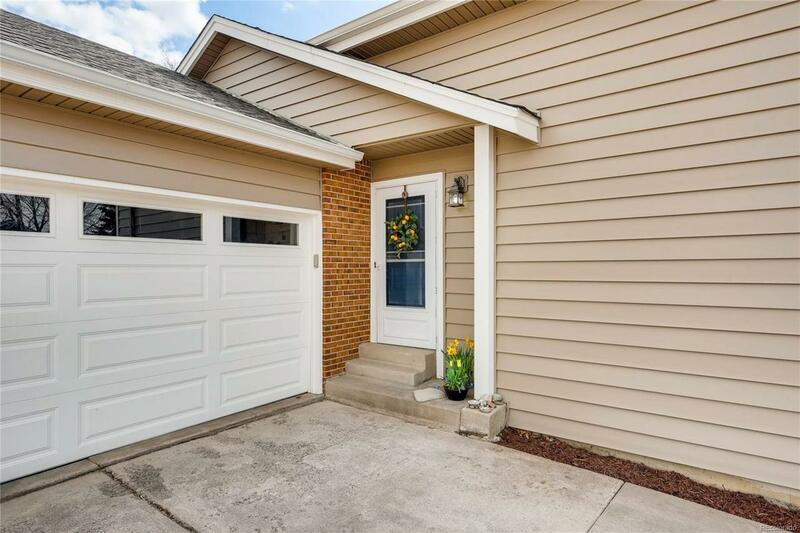 Adorned w/ TRIPLE PANE WINDOWS thruout & NEW VINYL SIDING & GUTTERS (2015) for energy efficient, low maintenance living. Bedrooms upstairs & down are highlighted w/ PLUSH NEW CARPET, ELFA ORGANIZED CLOSET SYSTEMS & attractive UPDATED BATHS! 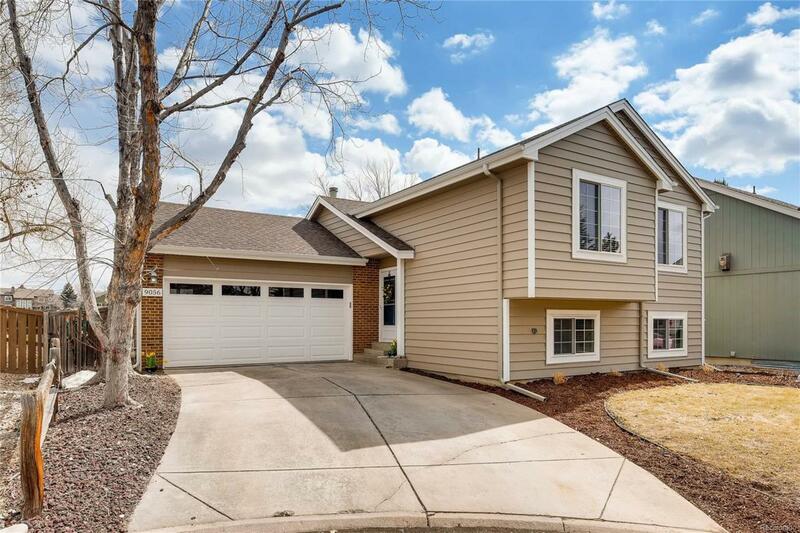 Enjoy the Colorado Life Style w/ miles of trails, 4 Rec Centers, pools & sports complexes. 10 Minute walk to A+ RATED Northridge Elementary. Easy access to C-470*restaurants*shopping*entertainment.